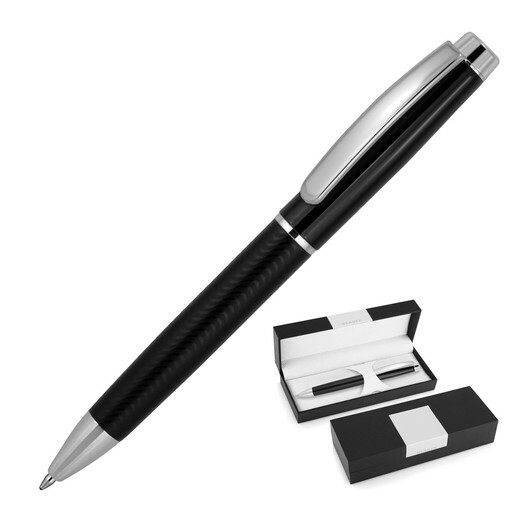 Allow your thoughts to carry you wherever you may go with this Swiss made Derofe pen. A timeless writing instrument with a thousand and one inspirations. 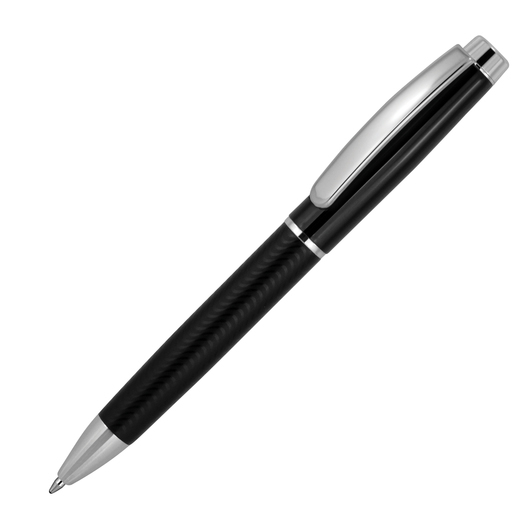 This Derofe pattern black metal ballpoint pen has a metal refill made in Switzerland, with a ballpoint of 1.0mm and writing length of 9,300-9,500m. Skilfully constructed and guarantees unique writing comfort.